Welcome to the first Monday of the new year. It’s hard to be back. Your resolution to eat healthy was squashed within the first 24 hours by a pan of brownies, and this cold weather has forced you to camp out on the couch and binge-watch shows you didn't even know existed. Well, there are still ways to feel good about what you're eating in the new year, and it begins with a food you already love: avocados. Just one avocado has four grams of protein and half your daily dose of fiber. So with that in mind, here are five ridiculously easy ways to incorporate more avocado into your life and feel like you are doing something good for your body. 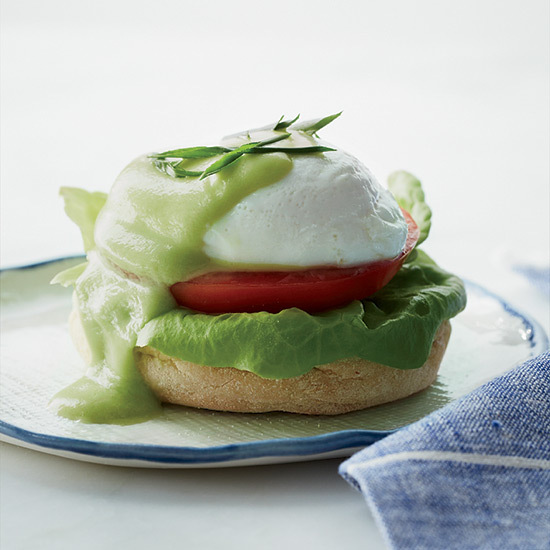 Hollandaise may not be the first thing that comes to mind when you think healthy, but this version of the brunch classic replaces clarified butter with creamy (and better for you) avocado. Erase all of your late-night fast-food binges from last year with this light salad. Make these as an appetizer for a dinner party, or just devour them by yourself. You can't beat crab and avocado. This salad could not be easier. Only five ingredients. You have no excuses. You haven’t met a guacamole you didn’t love. Now this one is healthy, with a kick of cumin, so that dream of yours to eat a bucket of guac can now come true.